It was Derek, of course, who came up with the idea of internet dating after Bernard told him he had been checking out some sites. The wig, a no-expense-spared creation in dark brown, did something to make Bernard look a little younger and from a planet nearer home. Normally, his drawn and slightly lined face, together with jug-like ears and baldness, had given him a difficulty with those used to making snap judgements, a characteristic brought into sharper focus on the web and often on dating sites. “What do you mean shave?” asked Bernard, not as familiar with bending perceptions as Derek. Bernard wracked his brain for some gem with which to make his point, but then just shook his head. He would be a surveyor rather than a quantity surveyor. It never did to be too precise about professional backgrounds. Before Bernard could reply, Derek was already describing his tastes as ‘eclectic.’ That should give off the vibe of someone who had thought things through and was open to all art forms. More and more, Bernard found himself to be the subject of this profile but not the creator of it. Indeed, the guy with brown hair who was looking at him from the page with a range of vigorous hobbies was so different from himself that he started to abandon all sense of realism. “Loves skiing, sailing, and the ocean,” he suggested. “You’ve never been skiing in your life,” said Derek, and then they both started laughing. Bernard thought that suggested an undercurrent of intimacy without being too forward and was likely to attract the eye of any discerning women. Derek was delighted to see the way his protégé was entering into the spirit of their enterprise. 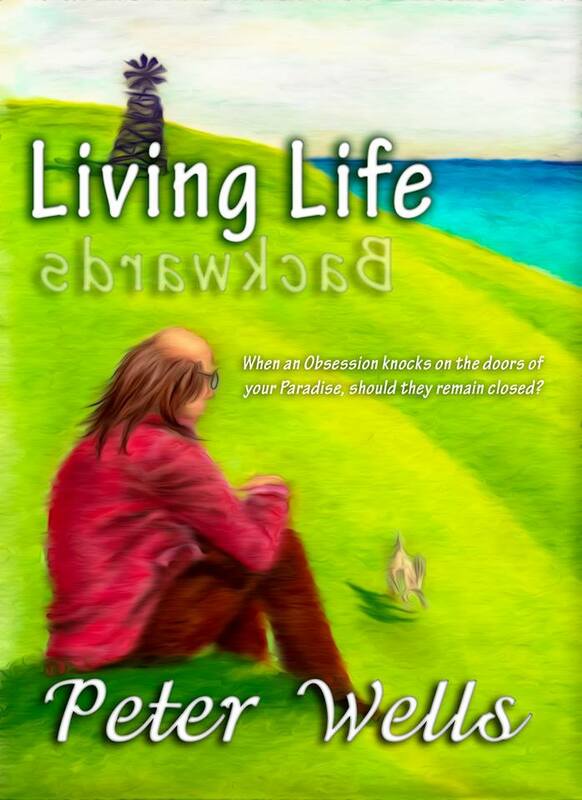 The Above is an excerpt from my book “Living Life Backwards” which, despite demands from the discerning public, is still on sale through Amazon and other mysterious sites. Click on the image next to this post and be sure you will receive not less than one cup of cyber coffee from the Countingducks foundation as a mark of our gratitude. This entry was posted in Books, character, creative writing, Fiction, humour, living life backwards, Peter Wells and tagged Books, charater, creative writing, Fiction, humour, living life backwards, Peter Wells. Bookmark the permalink. Since we each bought a copy of LLB, I think a cyber cappuccino with a pinch of rum is more in order, don’t you agree? I still love it, Peter. Funny, I think this is about most guys I’ve met from an online dating profile. I am sure women do it as well. Having not read the book, I hope they realize they reap what they sow. The recreation of a man through internet dating. Sounds like a great read. Perfect cliffhanger. How can anyone resist digging into your book. Lucky for me, I know how it ends! I bought my copy and just finished reading it today Peter, love it! I’m going to steal some bon mots for my online profiles…. And also now I have a Kindle, I shall acquire the rest! I know what it’s like to have a book out and try to keep things fresh to sell it. It can be trying. But I know you’re writing is amazing, so I know sales will continue to stay on top for you :).